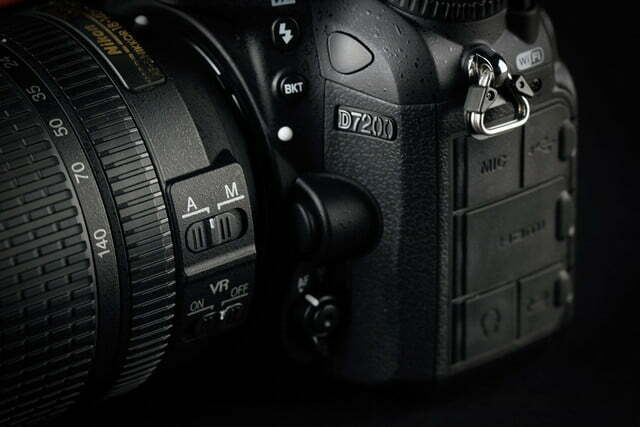 Even though the D7200 doesn’t disappoint, it’s tempered our love affair with the D7000-series. The 24.2-megapixel Nikon D7200 ($1,200, body only) is an update to one of our favorite Nikon DSLRs, the enthusiast-grade D7100. We love the D7000-series for features you won’t usually find in entry-level interchangeable lens cameras like the Nikon D3300 and Canon Rebel series, such as the new T6i and T6s. There’s just something about the added features, customization, build quality of an enthusiast DSLR that’s worth the heavier and bulkier form-factor. The D7200 has since been replaced with the D7500, a camera that takes two steps forward and one step back. While the camera is faster, better in low light, shoots 4K video, and has SnapBridge Bluetooth connectivity for quick and easy pairing with smartphones, it also has fewer megapixels and doesn’t have the dual SD slots of the D7200. 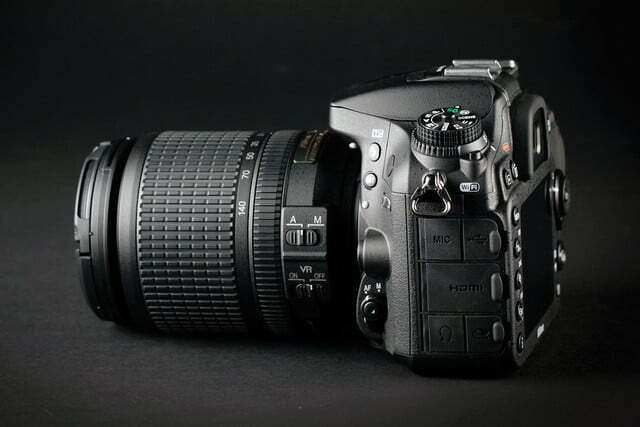 With some better features but some downgrades, the D7200 may still be a viable option at a lower price. 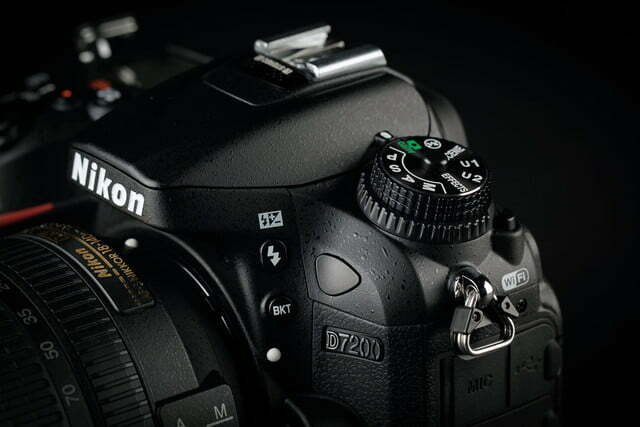 So, before you jump into the latest model, we recommend you also consider the D7200 — still in stock at many retailers. This review was originally published on December 7, 2015. It was updated on October 9, 2018 by Hillary Grigonis to reflect current pricing and the updated D7500. 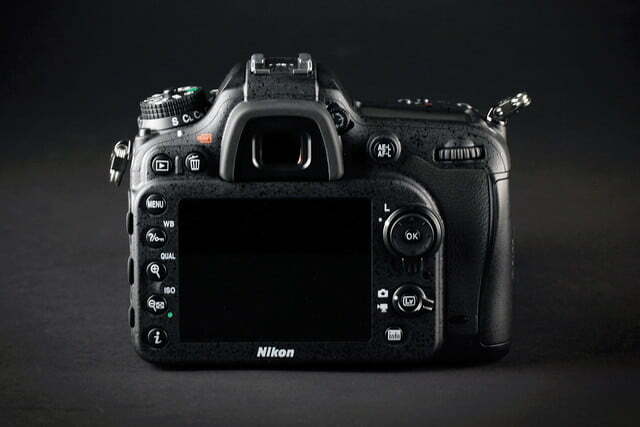 The all-black D7200 resembles nearly every other Nikon DSLR, and, in terms of size and weight, it slots between compact entry-level and full-frame models. It measures 5.4 x 4.2 x 3 inches and weighs 23.9 ounces (body only), just a fraction bigger and heavier than the D7100. Add a battery and lens and you’ll have a heavy DSLR hanging around your neck. The D7200 is somewhat rugged in that its magnesium-alloy body is weather sealed for protection from the elements, but not waterproof. 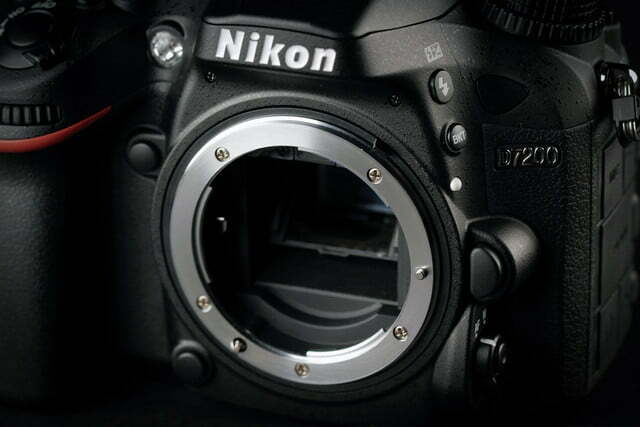 There’s no shortage of interchangeable lenses for the F-mount on the front, from both Nikon and third-party suppliers. For testing, our camera came with a Nikon f/3.5-5.6 18-140mm zoom – part of a $1,300 kit. Since the D7200 uses a APS-C (DX) sensor with a 1.5x digital factor, the 35mm equivalent is 27-210mm, which is a good focal length for general purpose photography. Other features on the front include an AF Assist Lamp for focusing in low-light, depth-of-field preview (Pv), Function (Fn), and lens release buttons. Flanking the lens mount, on the right (facing the camera) is an AF/M lever for adjusting focus type, and buttons for bracketing and flash-mode compensation. There’s also a remote sensor. The top deck has a layer-cake dial setup. The bottom dial lets you change burst mode and use Quiet Shutter, self-timer, and mirror-lockup options (the latter keeps the mirror up before it starts shooting, for things like slow-shutter photography or when you don’t want any vibration to affect image quality). The main mode dial above it has everything from Smart Auto to PASM and two custom settings. Atop the built-in flash are stereo mics for videos and a hot shoe, and a large mono LCD control panel nearby. This large and very legible display gives you a quick glance of the current settings, without using the rear LCD. 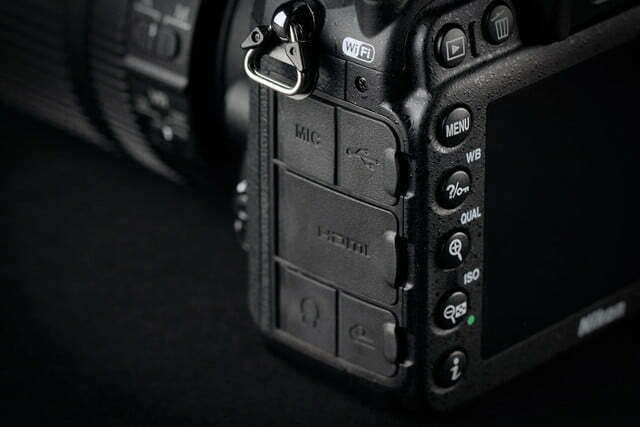 Buttons close by include Metering, red-dot movie record, and exposure compensation (plus/minus 5 EV). 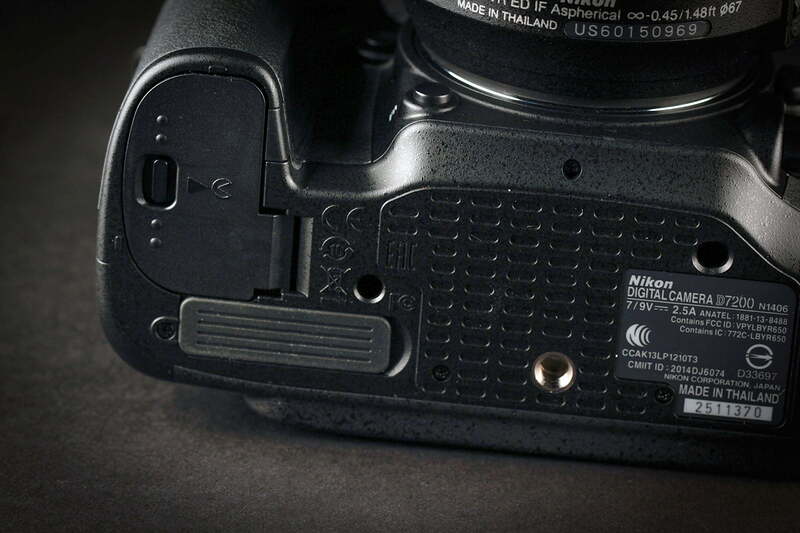 On the sloping grip are the shutter, power lever, and front dial used for menu navigation. Many of these features are typical of enthusiast-level cameras; step-up users will have some new things to learn. 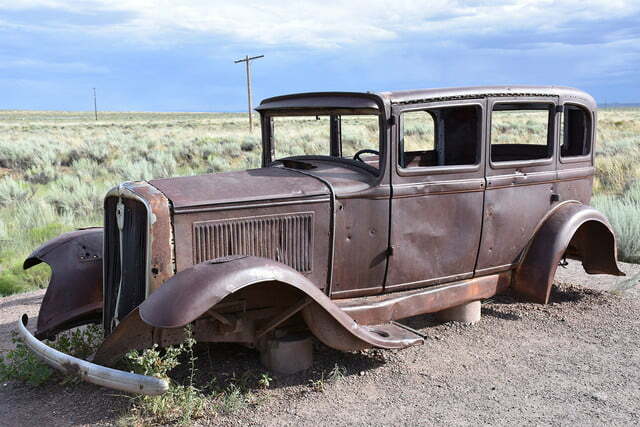 The big upgrade is the image processor that delivers 30-percent faster image processing. The two key features on the back are the optical viewfinder and fixed-position LCD screen. The viewfinder has a .94x magnification and it’s nice and bright, with settings that are easy to read along the bottom of the screen. The 3.2-inch LCD is rated 1,228,800 dots and it’s very good; it can be cranked up five levels to handle bright sunshine. We would have liked it to be a tilt-screen, which would allow for more creative angles, as would touch-capability. Since the camera is so big, there are lots of buttons with easy-to-read and decipherable icons. There’s Playback, Delete, AE-L/AF-L, Menu, White Balance (with extensive choices), Quality/Enlarge, ISO/Decrease, and “I” (information). To the right of the LCD are the focus selector lock and a control dial with center OK button to move through menu selections. The Live View (still/movie) button lets you use the LCD as a viewfinder. There’s also an Info button and a tiny mono speaker. On the right side is a slot for two SD cards, which can be used for extra capacity or redundancy (backup). 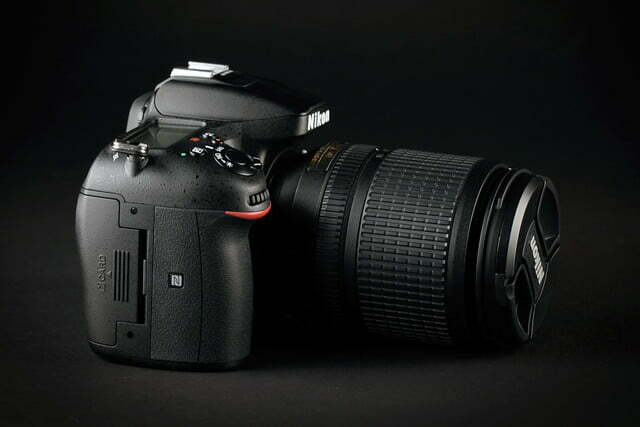 For this type of camera, you should always use high-speed, high-capacity cards. On the left are compartments for mic and USB connections, another for HDMI, and a third with jacks for optional headphones and a remote control. The bottom has the battery compartment, and the battery is good for a whopping 1,110 shots or 80 minutes shooting HD footage. Unless you’re a power user, there’s probably no need for a spare. You can also add an optional battery pack, but it is overkill. Depending on the configuration, there’s the body, kit lens, battery, plug-in charger, eyecup, body cap, USB cable, and strap. 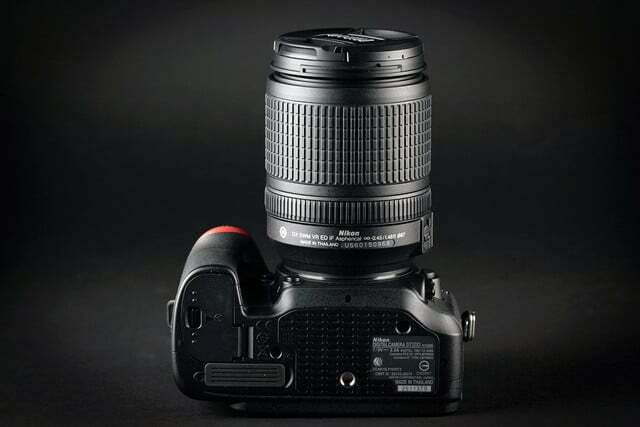 Existing Nikon lens owners can opt for the body-only option. Nikon also supplies a 390-page printed user’s manual – one of the biggest physical guides we’ve seen in a long time. 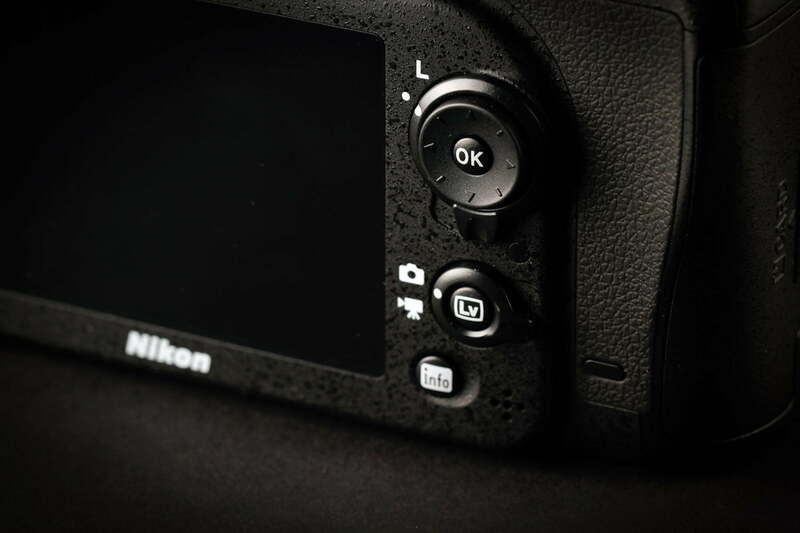 The D7200 offers loads of customization, so give the manual a skim. Nikon’s ViewNX-i and Capture NX-D software for handling images and developing NEF/RAW files are available for download via Nikon’s website. Nikon offers a one-year warranty for parts and labor. The D7200 uses a very similar APS-C CMOS sensor to the D7100, but it’s a 24.2-megapixel variant versus 24.1 – a difference you won’t notice. 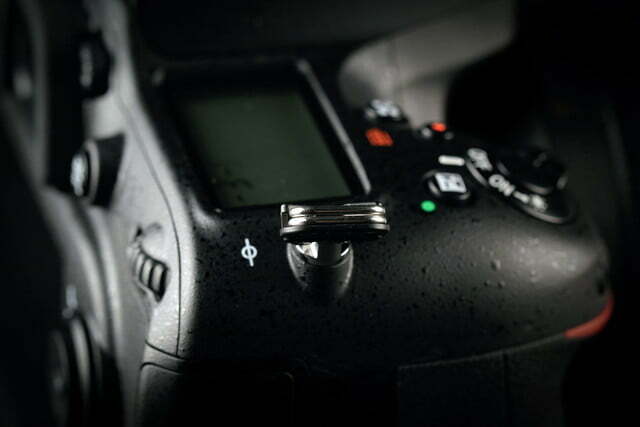 Like the D7100, the D7200 eliminated the optical low-pass filter for sharper images. 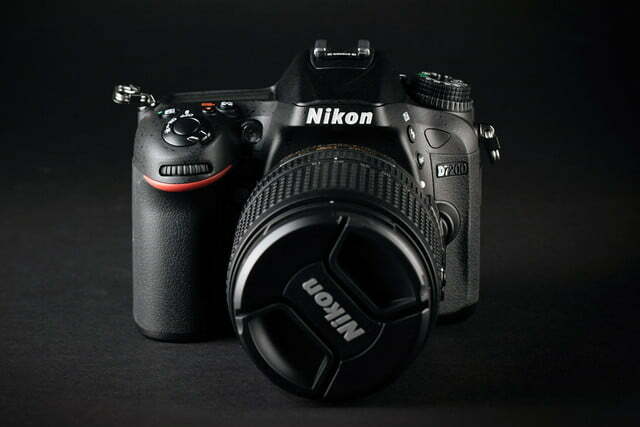 The big upgrade is the new Expeed 4 image processor that delivers 30-percent faster image processing, Nikon claims. It also greatly enhances the buffer so it can capture up to 100 JPEGs before slowing down, instead of the 33 of the D7100. 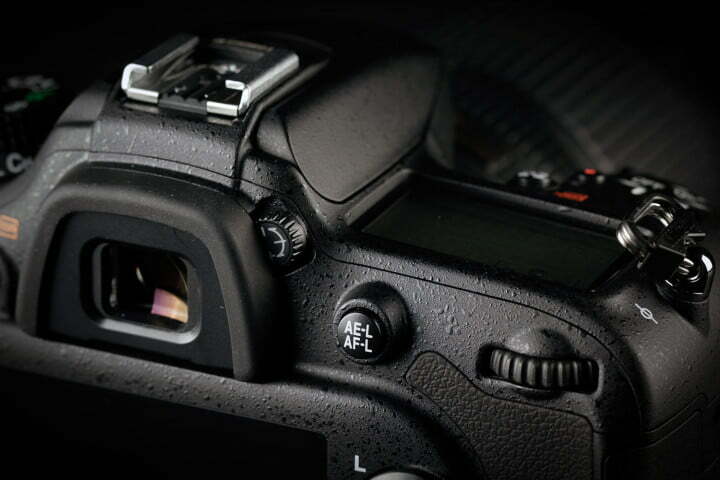 RAW capacity has also been increased: The D7100 could capture eight 14-bit RAW files, but the new model does 26. The 51-point autofocus system (15 cross-type) is very accurate and is used by both cameras, as is the shutter-speed range (1/8,000th-30 seconds, plus bulb). The camera has a top burst speed of 6 frames per second (fps) so action shooters should be pleased. As alluded, the main mode dial has Smart Auto, PASM, Flash Off, Scene (16 options), Effects (7 available), and two user customizable settings. The kit lens offers a very good focal range from wide to telephoto, and having built-in Vibration Reduction (image stabilization) is useful. It’s an ideal all-around, starter lens if you don’t own any. 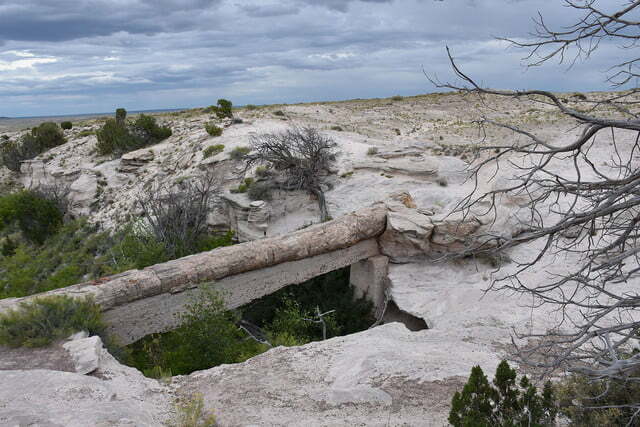 In the landscapes where we tested the D7200, we really appreciated the 27-210mm focal range. 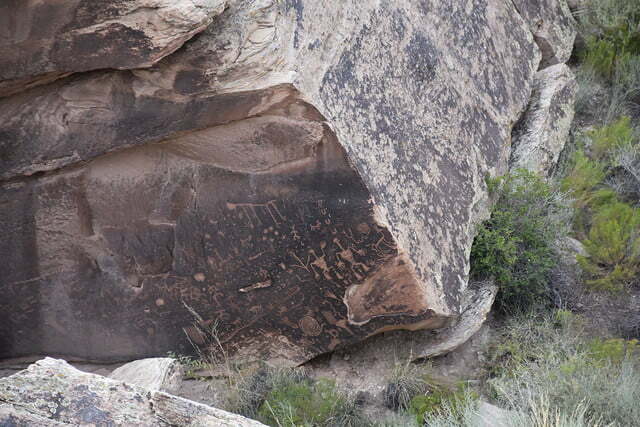 It allowed us to take wide vistas and then zoom in for more detailed shots. 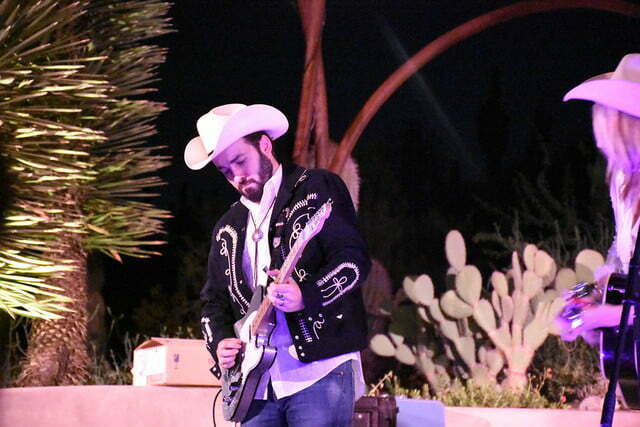 We shot at maximum still resolution and had fun pushing the ISO and testing the 6-fps burst mode in order to capture a performing country guitar player. The 51-point autofocus system is extremely responsive and one of key attributes of the camera. 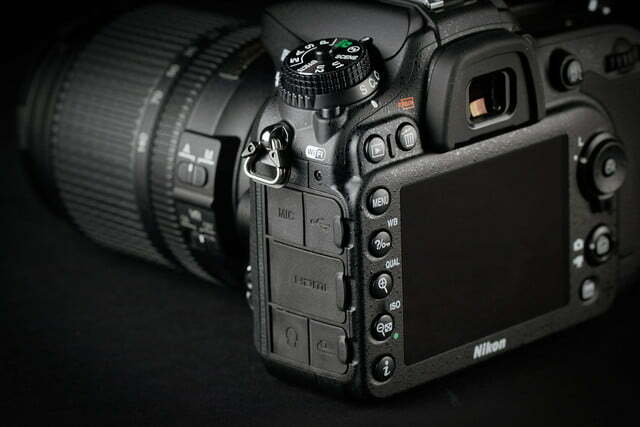 The D7200 is Nikon’s best APS-C DSLR to date, but we wish it could have been better. It was a bit disappointing to discover the D7200’s top video resolution is 1080/30p. 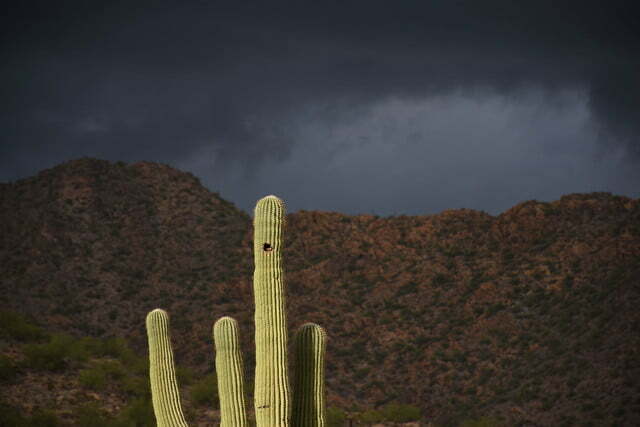 You can shoot at 60p, but you must use the 1.3x crop mode, in effect losing a portion of frame. Another bummer is that Nikon makes you go through a bit of menu tweaking in order to achieve 60p as well as reducing the angle of view. Why the company did this is mind-boggling when a competitive DSLR like the Sony A77 Mark II does it with ease. Now, 30p is not a terrible frame rate, but, as higher-resolution 4K TVs start to drop in price and more people start to upgrade, it doesn’t help you future-proof your investment. Since we wanted the widest view we recorded movie clips of a country band at 30p. The results were OK but the AF had difficulty in low light, but perked up nicely when there was sufficient illumination. If you’re shooting video, make sure the scene is well lit. 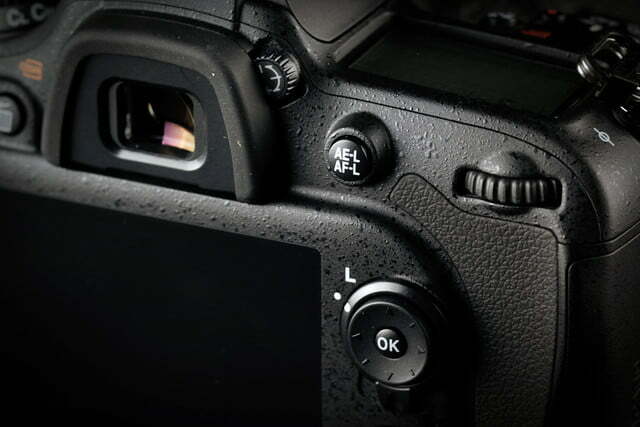 The D7200 has a native ISO range of 100-25,600, but by adjusting the menu you can extend it to 51,200 (H1) and 102,400 (H2). 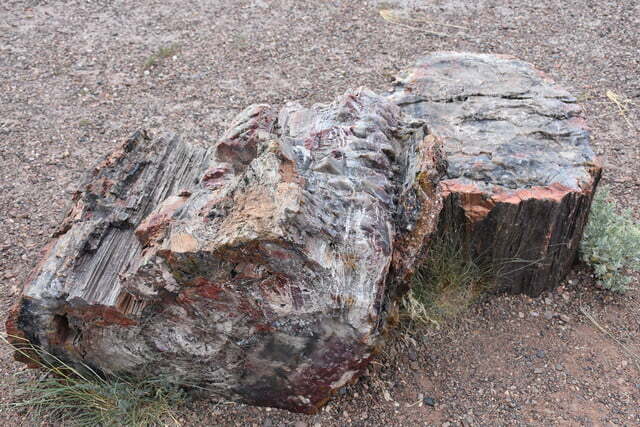 The latter are only black-and-white photos, as extreme ISOs would produce far too many digital artifacts with color images; use it as a special effect if you’re feeling artistic. We used 25,600 during the concert and liked the results, but expect noise and artifacts. For best results, the D7200 and kits lens are solid performers up to 3,200, with little digital noise. Color shifts began at ISO 5,000 and there’s dramatic softening at 12,800. 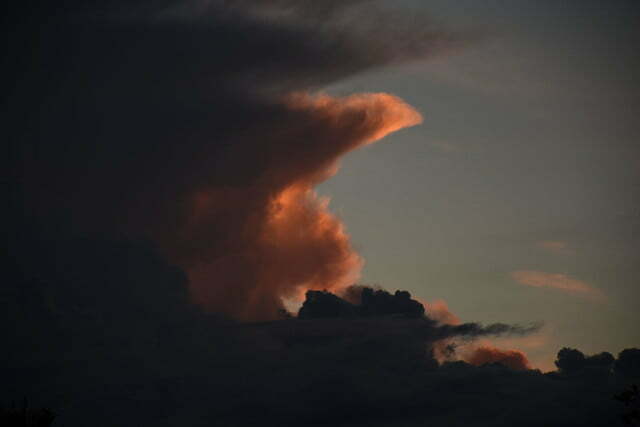 You can use the camera at these levels but be judicious. With a wide prime lens, low-light photos without the flash will look even better. 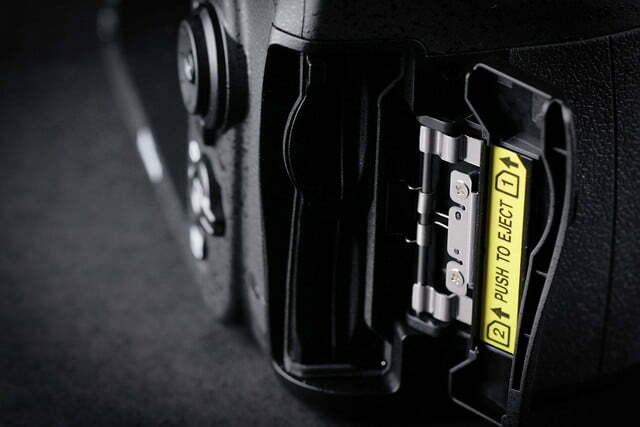 With the D7200, Nikon finally put Wi-Fi and NFC connectivity inside the DSLR. Before, you had to buy an adapter in order to go wireless. The company’s Wireless Mobile Utility (WMU) app for iOS and Android works well. Pairing with a Samsung Galaxy S5 took no time, as was downloading images to the phone for sharing. The app also lets you control the camera with your phone. It’s basic but does the job. The Ari Marcopoulos is a stylish bag that holds can hold a camera and several lenses. This limited edition is icing on the cake. This new 24mm prime lens has a bright f/18 aperture, and it’s affordable. The D7200 is a fast performer, and you’ll need a card that can keep pace. The D7200 has dual-SD slots, so get two. First, the good news: The D7200 was Nikon’s best APS-C DSLR when it launched, and with all its features, it’s a highly capable camera for terrific photography. If you’re looking for an enthusiast DSLR that takes great stills and is highly customizable, you won’t go wrong with this Nikon. Now, the bad news: We don’t think Nikon has done enough with the D7200 for us to give it our Editors’ Choice. Despite the upgrades, it feels a bit dated when compared to cameras like the similarly priced Sony A77 Mark II, which has a 79-point autofocus system, 60p video recording, and tilting LCD, to name a few features. 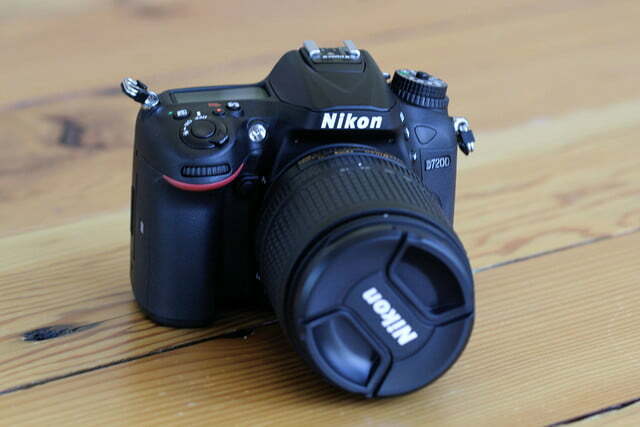 The D7200 could be fresher, if only Nikon had added a better sensor or better video specs. If you’re a photographer who also doubles as a videographer, this might not be the top choice either. The better news: Now that the D7200 is getting older, you can pick it up at a discount. The D7200 is still a very good camera, and before Nikon phases it out completely, you can get it at a nice discount for under $1,000, which is about a $200 savings over the D7500. Sure, the D7500 has more speed, better low light performance, 4k and a tilting touchscreen, but the D7200 has dual card slots, more megapixels and a lower list price.